We’re in the holiday rush here at Matboard and More, just like some of you I’m sure! There’s still time to get in Christmas orders, so have a look at our new multi-opening frames. However, even when busy, it’s important to take some time to enjoy yourself. As a great philosopher once said, “Life moves pretty fast. If you don’t stop and look and around once in a while, you could miss it.” In that spirit, I decided to take a little more time to look and some of Monet’s work. I was familiar with the famous painting of the island monastery, but not the other. So, let’s have a look. 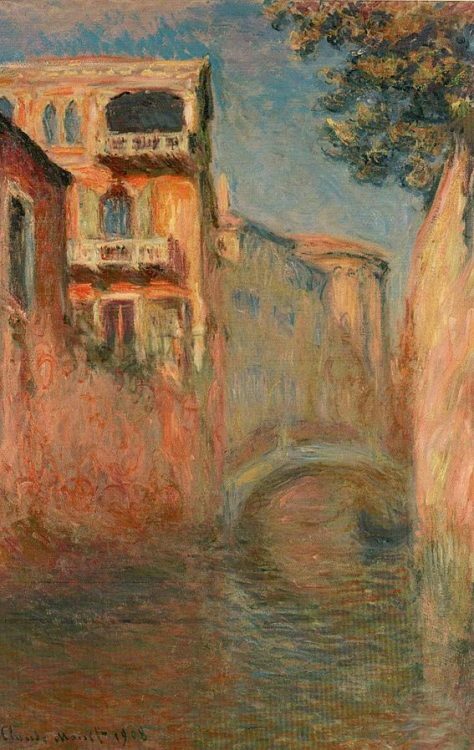 This first painting is simple called The Grand Canal, showing one of Venice’s main canals. The Salute Church makes an excellent background, and likely the reason Monet chose the spot. He painted the grand canal a number of times, but this was probably my favorite. This one is called “The Rio Del Stella Salute.” I was not able to find much information on the piece itself. However, I am a big fan of the use of color around the water. Something about the way they blend together while still reflecting the bridge and buildings around them. 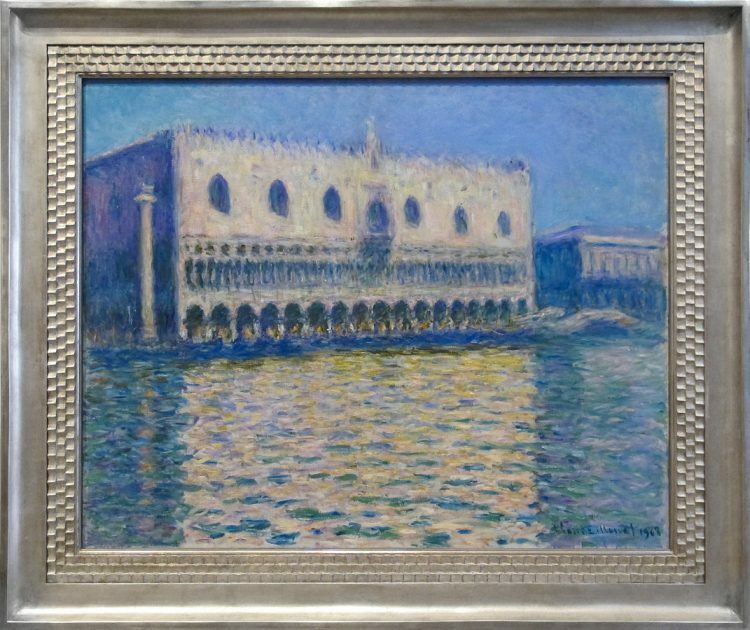 And finally, one of the man pieces Monet did on the Doge’s Palace in Venice. The building left an impression on him, because it seems as though he painted it more than any other building. Monet in fact did over 30 pieces while he was in Veince. Perhaps you’d like to put at mat on some of them. 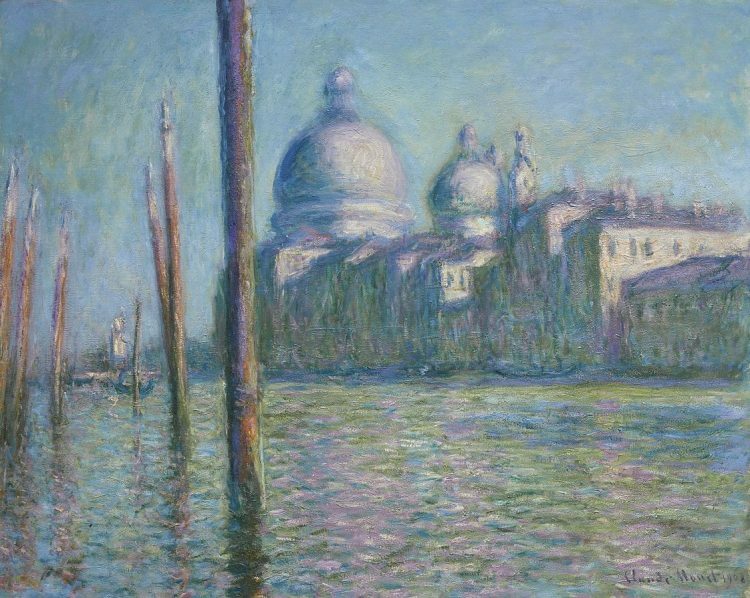 In any case, I hope you enjoyed this brief look at Venice as Monet saw it.